I’ve noted on this blog before that Manchester, the so-called first industrial city, now describes itself as a post-industrial city. It’s an accurate assessment as it’s hard to find anything of any consequence that is made in Manchester these days, beyond Cornflakes and Coronation Street. The area to the east of the city was, at one time, very heavily industrialised, with an abundance of heavy engineering works, a steelworks, coal mines, power stations, cotton mills and factories making goods of all types. In the post war era though, it was hit particularly hard as the city evolved into something else. The online Hansard collection notes that 20000 jobs were lost between 1971 and 1985 in East Manchester alone. 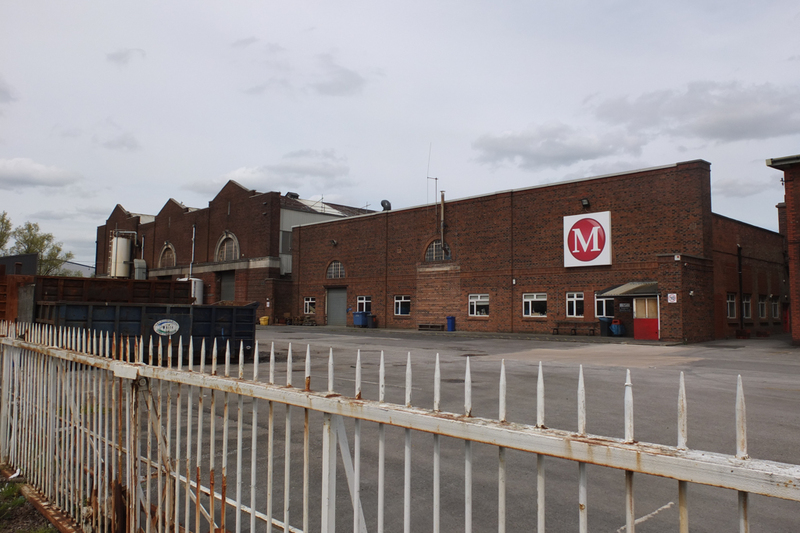 One of the longest established names in the manufacturing history still survives though (just), in the shape of Mathers Foundry. The foundry is the last surviving section of what was once the giant Park Engineering Works of Mather and Platt, and it’s worth running through a quick history of this historic site. 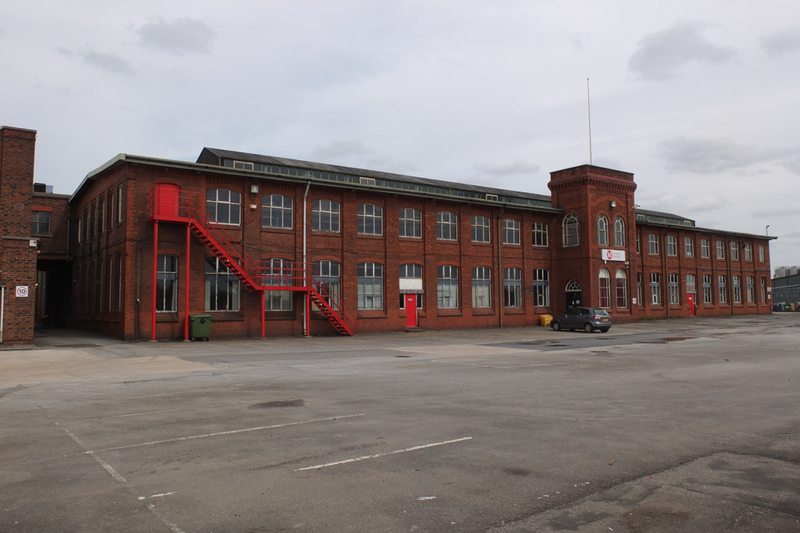 The works finally closed in 1996, and the majority of the site was demolished shortly afterwards, but as has happened elsewhere, the foundry was sold as a going concern and has survived several changes of ownership and rounds of redundancies since then. The land where the rest of the works once stood has recently been redeveloped after many years of standing empty and is now home to a large bakery. The works featured in LS Lowry’s wartime painting ‘Going to Work‘ from 1943. The tower on the left of that picture can be recognised as the one in the picture above, the taller one was demolished when the factory closed. There’s a few photos from inside the foundry from a visit by the Manchester Engineering Society here. Railway lines. It’s hard to see on the aerial photo below, but the site was rail connected. There’s an interesting picture on Flickr here of a shunter crossing the main road in the 1970’s – you can just about make out a crossing over the main road in the photo below. An aerial view from the 1920’s. The foundry building in the first picture can be seen in the bottom left, while the newer building in the second picture stands to the left of it, and was built, in the empty land in the bottom corner of the picture. 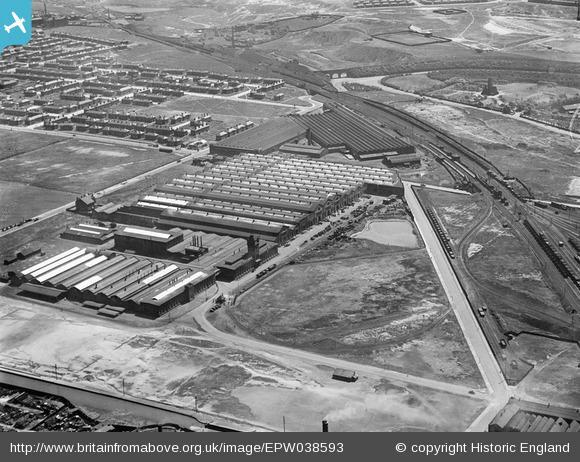 A more recent view from 1953 here shows the works in its fully developed state, including the works cricket pitch between the road and the factory. A comprehensive history of the company and the works can be found here. A very interesting post. The Lowry resonance is particularly striking and adds a new dimension to that painting for me. 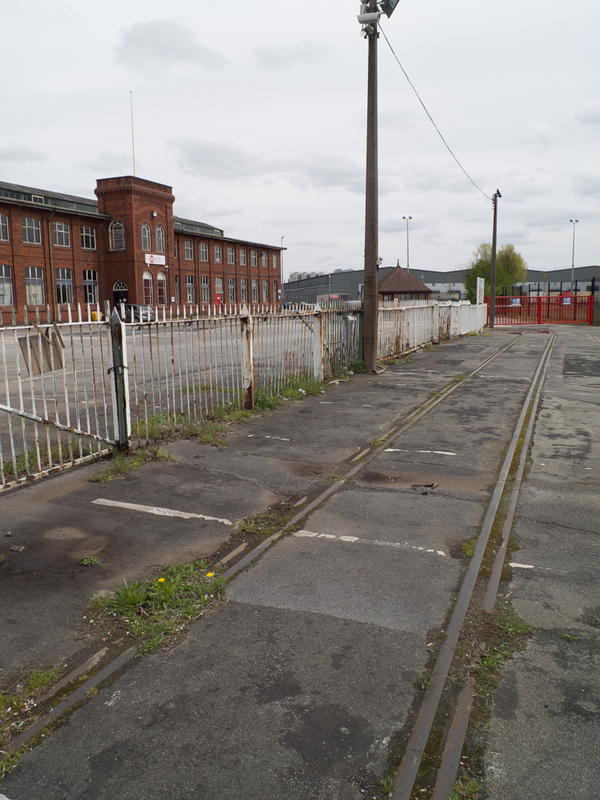 Quite sad to see the old railway tracks, left like fossils in the road, but I like the Flickr link with the Hibberd loco! Thanks Iain, just realised that I didn’t get round to putting the full (potted) history in like I intended, the post just slips to when it closed – d’oh! Probably worth me updating it at some point as the company had a fascinating history, which you can read about in some of the links. Hello,being an ex emplyer at Mather and platts as a machine moulder working under Ronnie Whittaker, does anyone know of him?